It's rare when a book - especially one written as a narrative/memoir - doesn't click with me. 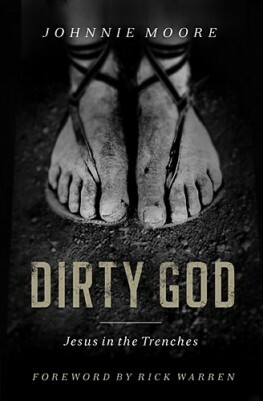 But unfortunately, that was the case with Dirty God: Jesus In the Trenches. I really tried. Author Johnnie Moore has an interesting writing style.The concept and the description captured my attention. Unfortunately, he just didn't keep me engaged. I guess the book wasn't what I thought. I tried reading several chapters and I just didn't want to finish it. So, here's the deal. Just because I didn't like it, doesn't mean you won't. I've read reviews. Others find Moore's writing engaging and thought provoking.I'm just not one of them - at least right now. It might just be what you are looking for, to challenge your faith and ideas. Maybe this is the type of book you want to read with a small group - so you can digest it together. Who knows. but for now, I'm staying neutral on this book.